Why choose to work with Zygology? 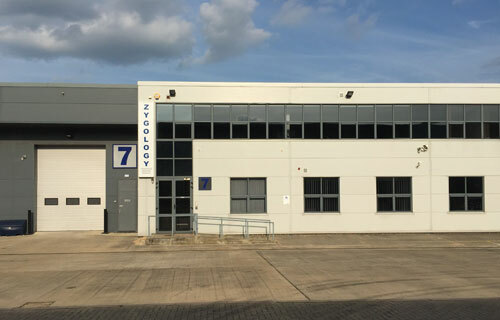 With over 40 years experience serving British Industry Zygology offers a unique, one-stop shop for all your technical fastening needs. We are first and foremost engineering product specialists who understand the practical application of our fastening solutions, offering friendly, expert advice as and when our customers need it. Our technical expertise and our ability to flex our service around our customers' requirements gives us the unique ability to offer a specialised service for each application and each customer. Because we know our products and our industry, we are able to offer a truly unique service to all our customers, whatever the size of organisation. Since 1977 we have been working with leading organisations in a wide variety of industries, including automotive, marine, security and construction. Our customer base is extensive, including large multinationals such as Siemens, Caterpillar and Unipart. We also work with a large number of smaller OEM producers, where our flexible, friendly service enables them to achieve their production objectives. We understand how a responsive service offering a fast turnaround is critical for all our customers, whatever the size of their operation or the nature of their industry. Our delivery service has been designed to fit in with our customers' short lead-time production schedules. We hold extensive stock across our whole range of fastening solutions to ensure consistent availability and to minimise customer wait-time. Zygology has ISO 9001 and UKAS Quality Management accreditation in recognition of our commitment to providing the best service possible for our customers. "have time and again helped us to adhere to our production schedule giving us a fast turnaround and making sure we always have what we need." Happy Customer.